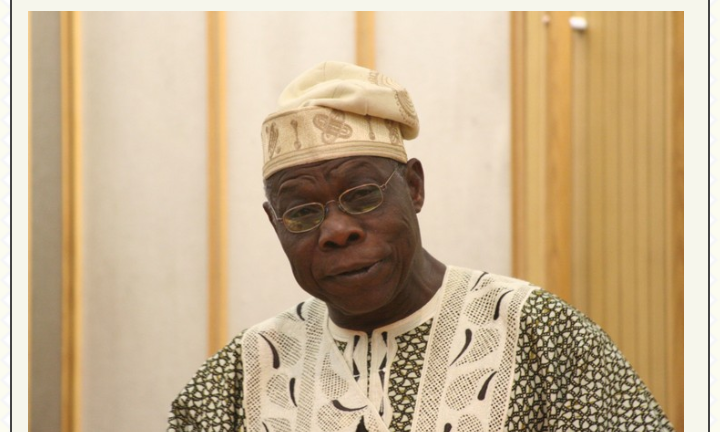 Ex-president, Chief Olusegun Obasanjo has advised some religious leaders to stop praying for criminals who acquired their wealth through Illegal means. "This is where our religious leaders have to discriminate in favour of teaching of the scriptures and our cultural values. They anoint criminals for their ill-gotten wealth and demonise the poor. We must show our young people that there is dignity in labour and reward in transparency and integrity. Perhaps, this is one area where organisations like DOHAL must continue to invest. When I was elected President in 1999, my administration took the issue of corruption very seriously and we established Independent Corrupt Practices and other Related Offences Commission (ICPC), as well as Economic and Financial Crimes Commission (EFCC), among other anti-corruption initiatives. These institutions were provided the political support needed to fight corruption and they did their best.But once we left office, they became very politicised and weakened to the point that they were unable to discharge their duties. In fact, one of the governors, who had been labelled and gone to jail for corruption, was to look for replacement for Nuhu Ribadu (the pioneering chairman of EFCC), and you know the type of replacement he would get. There is need to support and strengthen these institutions, especially in the area of prosecution. The law enforcement agencies or the government alone cannot fight corruption. They must be supported by a judiciary that is upright and transparent. "